Hanoi (VNA) – Philippine President Benigno Aquino on June 15 said that a Canadian national and other hostages seized by Islamic extremist group Abu Sayyaf in a remote southern island could be rescued. He made the announcement after a second Canadian citizen was executed by the group on June 13. The Philippine President on June 15 flew to Abu Sayyaf’s base of Jolo island, where Norwegian Canadian Kjartan Sekkingstad is believed to be held, to meet troops tasked with tracking the militants in tough jungle terrain. Speaking to the media the same day, President Aquino said that the field trip will give the troops a clearer picture on what is happening there as well as how to refine operations in order to successfully rescue the remaining hostages. He also apologised to Canadian Prime Minister Justin Trudeau for the execution of two Canadian hostages by the group. Robert Hall was killed on June 13 after a ransom of 300 million pesos (or 6.5 million USD) was not paid. Earlier, another Canadian national, John Risdell was also executed on April 25 for a similar reason. 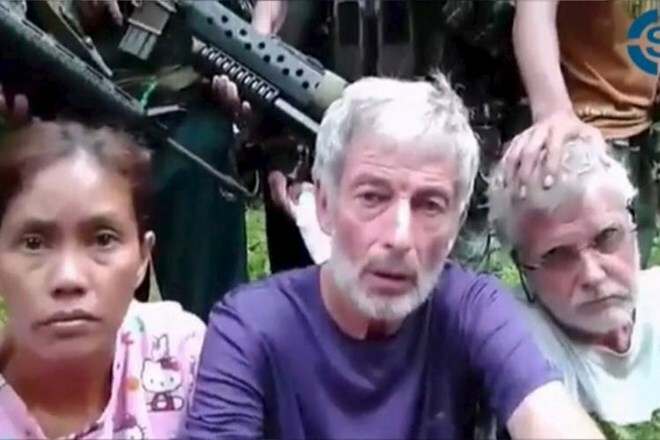 The two Canadians, together with Sekkingstad and a Philippine national, Marites Flor, were kidnapped on September 21, 2015 at a resort in Davao island, in the south of the Philippines.